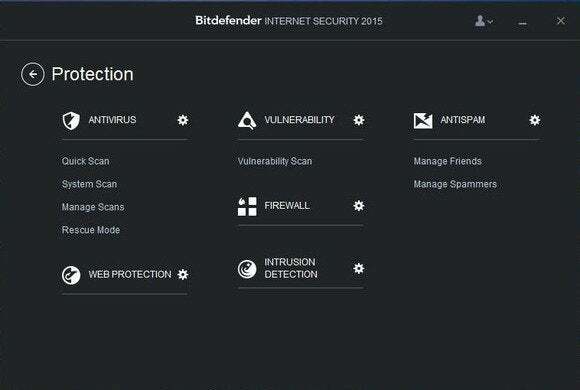 Historically, Bitdefender has ranked as one of the best performing antivirus programs, and its Internet Security 2015 security suite ($60 for one year of protection on one PC) keeps it near the top of the heap. If you don’t need the extra features—secure cloud storage or anti-theft protection for mobile devices—that are increasingly being offered as part of “total security” packages, then this suite will ably secure your PC with little to no input from you. Bitdefender’s excellent protection shouldn’t come as a surprise—its 2014 suite received a near perfect score in AV-Test’s most recent Windows 8.1 test, and the 2015 version doesn’t deviate much from its predecessor. AV-Test hasn’t performed a full test on Internet Security 2015, but they did check the engine against a smaller number of samples and test cases at our request. According to AV-Test, Bitdefender 2015 successfully blocked 100 percent of real-world attack cases. These tests determine how well an antimalware program is at protecting against new threats. It also passed AV-Test’s “malware zoo” test with flying colors, blocking all 12,618 samples of prevalent malware. This test shows us how extensive Bitdefender’s library of malware samples is and how effective it will be at protecting you from older, more common threats. Internet Security 2015 delivers the excellent protection we've come to expect from Bitdefender. Internet Security 2015’s main screen hasn’t changed much from previous versions of the suite. A banner indicates your protection status, and large buttons provide your gateway to Protection, Privacy, and Tools options, while smaller buttons let you scan your system, update the software, and optimize your PC right from the main screen. From here you can also select “Autopilot,” when you want the security suite to work silently in the background. Consider using it if you don’t want a pop-up notification every time Bitdefender blocks an attack. New to the suite are profiles for gaming, movie-watching, and working, which adjust your security and computer settings based on the programs you’re using. This is especially important for gamers, as many security suites flag games as high-risk, potentially malicious programs. According to Bitdefender, the suite should detect when you go into one of these modes and adjust the settings automatically. However, I found that this didn’t always work, especially during gaming sessions. More than once I had to turn Bitdefender off manually while playing games such as Typing of the Dead: Overkill and League of Legends. This year's suite includes profiles that automatically adjust security settings based on what programs you're using. There are also a few extra features to keep you safe on the web, including Bitdefender Wallet, which safeguards your online banking, and link-scanning, which identifies malicious links in Google search results, Twitter streams, and other webpages. 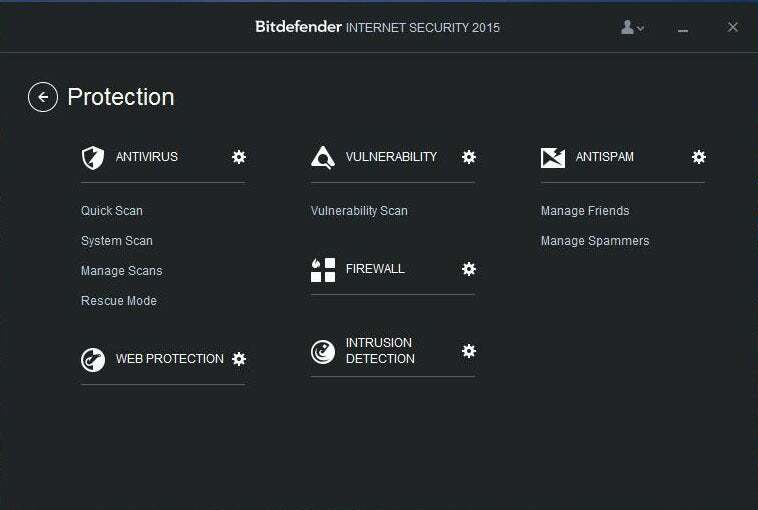 Bitdefender Internet Security 2015 is relatively light on resources. While I didn’t notice any issues with systems running Windows 7 and higher, I did experience some lag and sluggishness on systems running Windows XP and Windows Vista. Startup time seemed to be unaffected, but applications were slow to install and open. 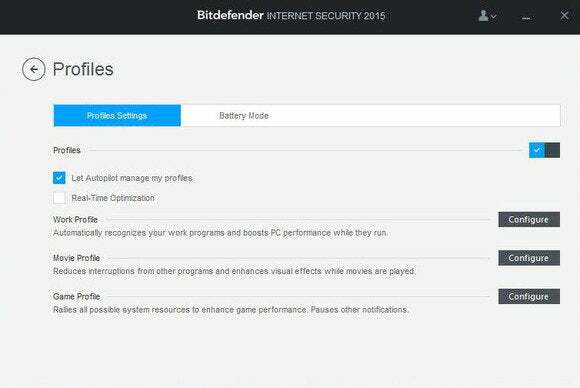 In addition to the program itself, Bitdefender installs a desktop widget that displays your protection status and notifications and a couple of browser add-ons. These are intuitive and easy to use. Overall, Bitdefender Internet Security 2015 is a good choice for anyone who wants excellent background protection that just works with a minimum of fuss. 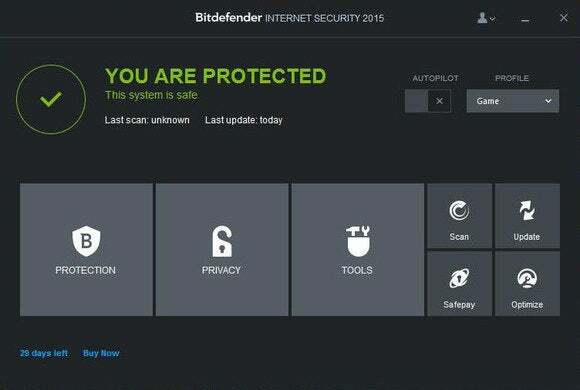 BitDefender 2015 offers excellent protection with a minimum of fuss.